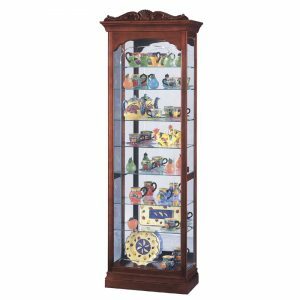 Demilune Curio. 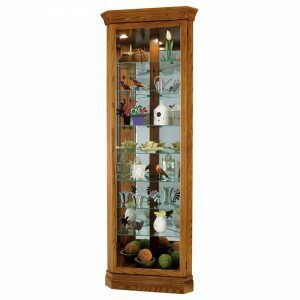 Shapely and slim, our demilune curio looks as if it is much more expensive than it actually is. 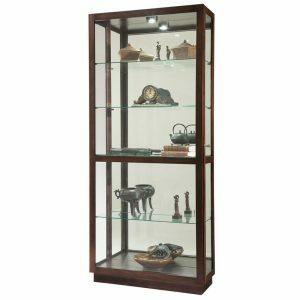 This modern classic curio is solidly built in select hardwood solids and veneers with a sophisticated dark Chocolate Cherry finish. 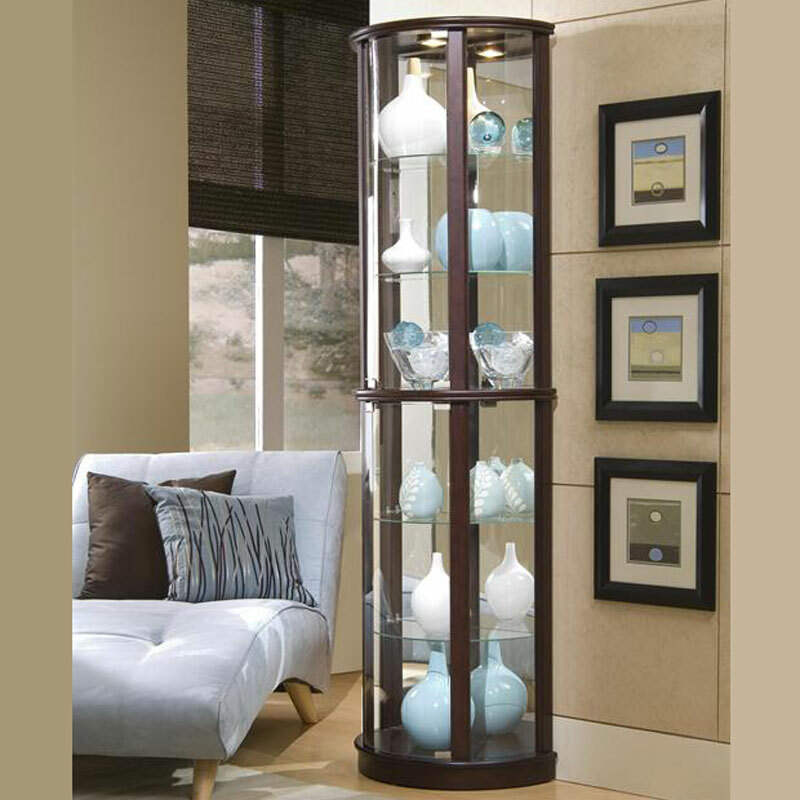 It features a mirrored back , interior lighting, adjustable curved glass shelves, and adjustable glides for leveling.